Canada’s economy unexpectedly lost 51,600 jobs, with wage gains slowing and Ontario recording its biggest employment drop in nearly a decade, removing any urgency for the central bank to accelerate rate hikes. The nation’s largest province lost 80,100 jobs in August, all part-time, the biggest decline for Ontario since 2009. Nationally, the economy lost 92,000 part-time workers, though a 40,400 gain in full-time employment is one sign the labour market is firmer than the headline number suggests. 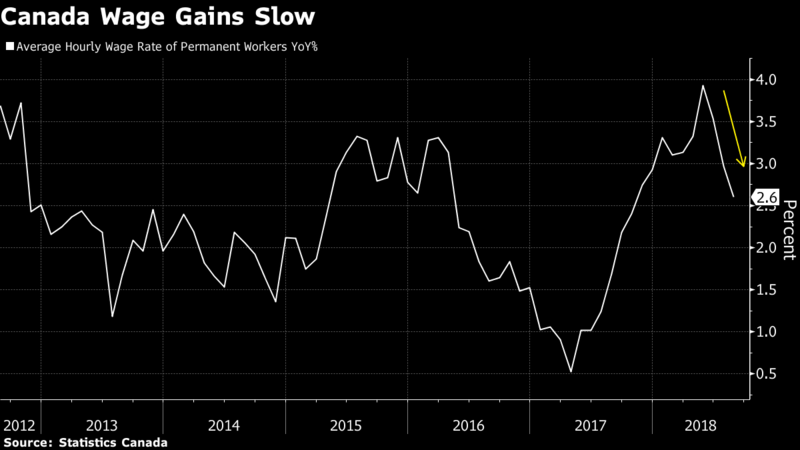 “The wacky world of Canadian jobs data stayed that way in August, but there was at least one positive amidst a generally downbeat report that came on the heels of an upbeat July. That positive was in a solid 40,000 rise in full time work, but that was swamped by a nose-dive in part time jobs,” Avery Shenfeld, managing director and chief economist with CIBC Capital Markets, wrote in a note to clients. The data released Friday by Statistics Canada in Ottawa reversed strong employment gains made earlier this summer, including sharp increases in Ontario. But the overall picture is one of a labour market gearing down markedly from last year and an economy not at risk of overheating. That reinforces expectations the Bank of Canada will take a cautious approach to increasing borrowing costs. The jobs numbers are “consistent with a gradual rate hike path and really not a whole lot of urgency,” said Robert Kavcic, a senior economist at BMO Capital Markets. The Canadian dollar slipped after the jobs report, down as much as 0.3 per cent to $1.3182 per U.S. dollar. The currency rose as much as 0.4 per cent Thursday after Bank of Canada Senior Deputy Governor Carolyn Wilkins said the central bank’s top officials debated this week whether to accelerate the pace of potential interest rate hikes, before finally choosing to stick to their current “gradual” path. The Bank of Canada has raised interest rates four times since mid-2017 to keep inflation from moving permanently beyond its 2 per cent target, and indicated it will need to make additional hikes to keep price gains from accelerating because the economy is roughly at capacity. So far in 2018, the economy has shed 14,600 jobs, but the number masks a 97,300 gain in full-time jobs. Part-time employment is down by 111,900 this year. The net loss in August — which was the second largest monthly decline since the last recession — drove the unemployment rate to 6 per cent, from 5.8 per cent a month earlier, while wage gains decelerated to their slowest this year. However, the jobless rate still remains near four-decade lows. Economists had expected a gain of 5,000 jobs and an unemployment rate of 5.9 per cent, according to the median estimate in a Bloomberg survey. -Wage gains for all workers slowed in August, with average hourly pay up 2.9 per cent from a year ago. That’s the slowest pace since December. -By industry, the decline was broad-based and included a loss of 16,400 jobs in construction and 22,100 in the professional services sector. 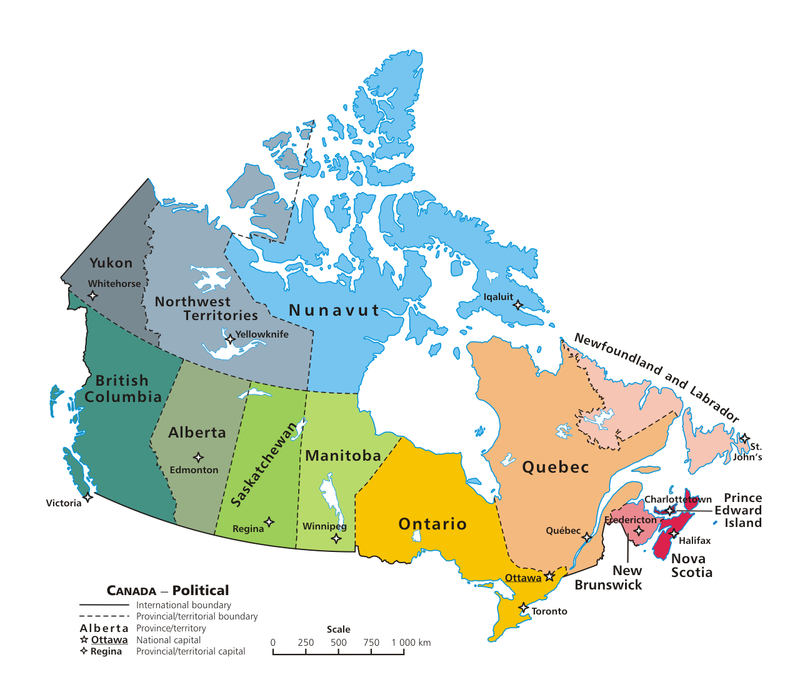 This entry was posted in Economy and tagged Canada, jobs on September 8, 2018 by Bone Fish.